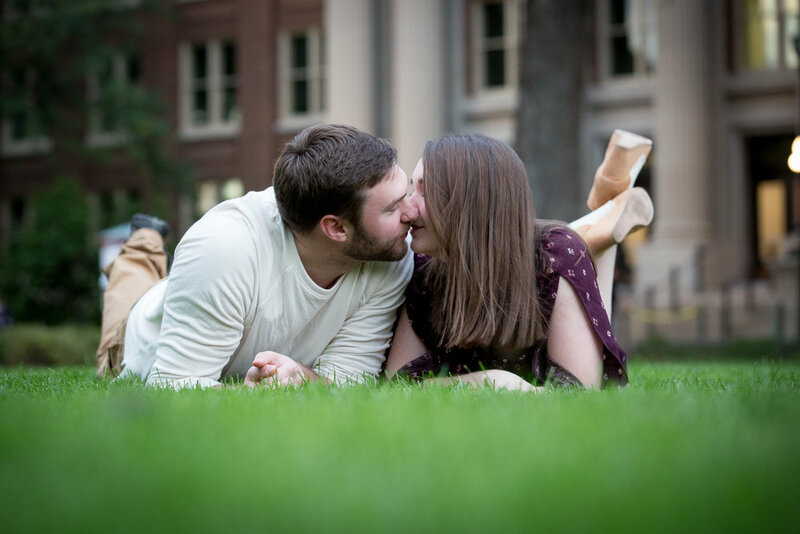 Briana and William met while in college at the University of Minnesota in Minneapols, so the U's east bank campus was the perfect venue for their engagement session! Since the 4 of us are all alumni of the U of M, we had a great time reminiscing about our time there and comparing how the campus had changed. We had a great time with Briana and William and are so excited to capture their wedding day next year! To tide us all over until then, here are some of my favorite shots from their engagement session! We even grabbed a few images in front of Vincent Hall where Briana and William both studied for the math degrees! First of all, I'm terribly sorry about the cheesy headline for this post; It's late and that's all I got! Anyways, way back in June, we went to Northern Vineyards in downtown Stillwater with Joanna and Sean for their engagement session. It was the perfect starting point for an engagement session with these two wine lovers and I couldn't resist a detail shot of Joanna's amazing engagement ring on top of the cork. Sean picked something with a twist because of Joanna's background in figure skating!